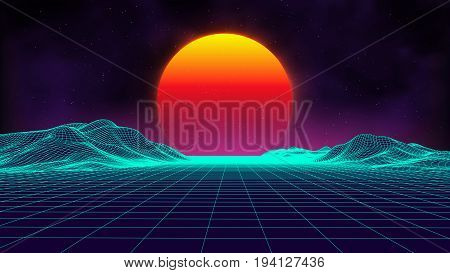 Retro background futuristic landscape 1980s style. Digital retro landscape cyber surface. Retro music album cover template : sun, space, mountains . 80s Retro Sci-Fi Background Summer Landscape.